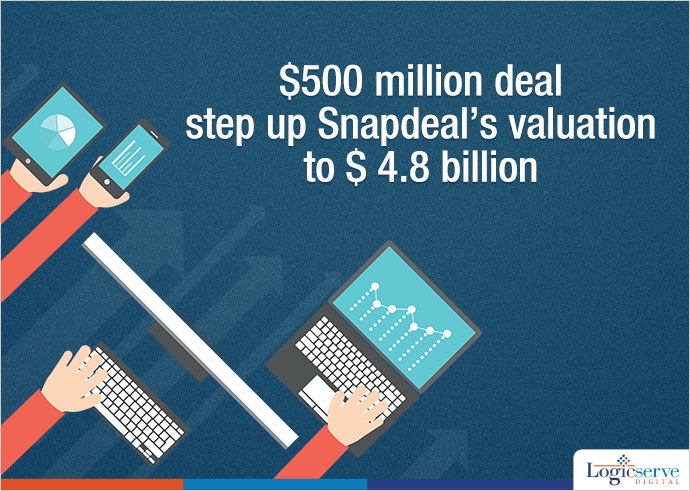 Snapdeal, one of the ecommerce giants in India, announced that it has raised fresh funds worth $500 million, in the funding round led by the Alibaba Group, the Chinese e-commerce, existing Softbank group and Foxconn Technology Group. According to the documents filed by Taiwanese contract manufacturer Foxconn unit, FIH mobile, after raising the fresh funds the Snapdeal is valued at $4.8 Billion. Its other existing investors who participated in the round include Blackrock, Temasek, Premji and Myriad. According to Alibaba spokeswoman, the funding to Snapdeal will help enhance their exposure to India’s growing ecommerce industry. Having a strong presence in mobile ecommerce, Snapdeal is said to fit Alibaba’s strategy of investing in innovative companies. Ebay too has infused around Rs. 450 Crore in the Ebay India Pvt. Ltd.